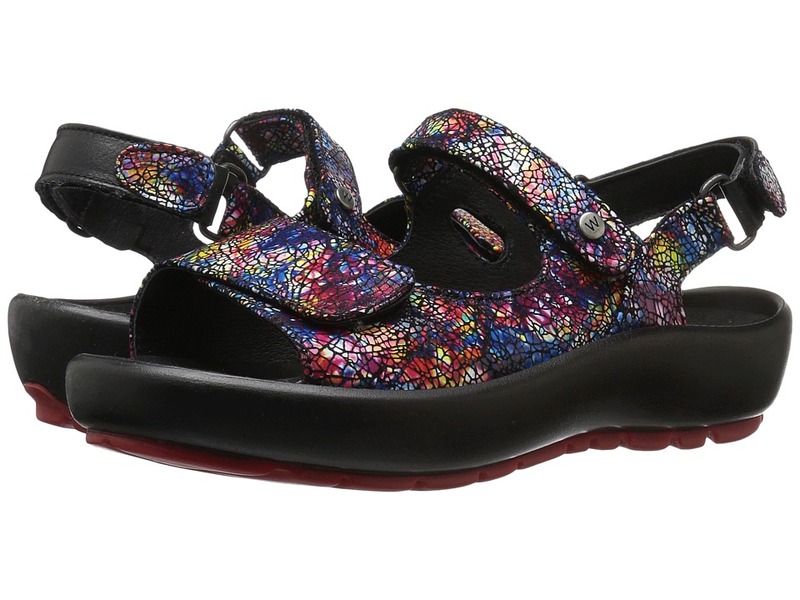 Add fun loving comfort and spirited style to your look with the groovy Wolky Rio sandal! Full grain leather upper is ultra comfy and looks chic from every angle. Streamlined silhouette makes for comfortable everyday wear and easy on-and-off. Memory foam throughout entire footbed comfortably cushions each stride. Lightweight polyurethane outsole offers durability and flex while also absorbing shock. Imported. Measurements: Heel Height: 1 1 2 in Weight: 13 oz Platform Height: 1 1 4 in Product measurements were taken using size 39 (US Women~s 7.5-8), width B - Medium. Please note that measurements may vary by size. Weight of footwear is based on a single item, not a pair. Accentuate your carefree spirit with a fashionable pair of the classic Bandolino Liberty slip-on loafers. Available in a variety of uppers. Easy slip-on entry. Round moc toe. Man-made lining. Lightly-padded footbed. Man-made outsole. Imported. Measurements: Heel Height: 1 2 in Weight: 10 oz Product measurements were taken using size 9, width M. Please note that measurements may vary by size. Weight of footwear is based on a single item, not a pair. 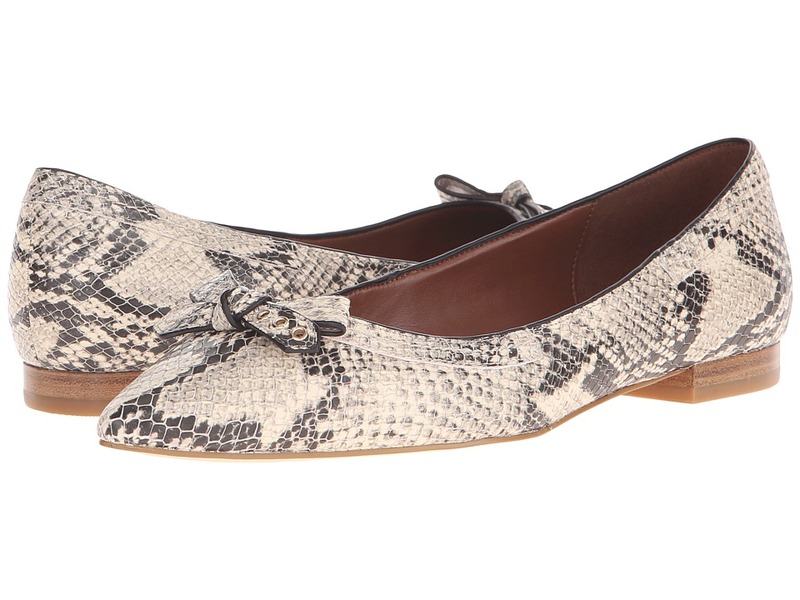 These Cole Haan ballet flats will flatter your feminine spirit all day! Available in a variety of leather uppers. Leather bow. Easy slip-on wear. Pointed toe. Man-made lining. Lightly-padded footbed. Flat stacked heel. Synthetic outsole. Imported. Measurements: Heel Height: 1 2 in Weight: 10 oz Product measurements were taken using size 8, width B - Medium. Please note that measurements may vary by size. Weight of footwear is based on a single item, not a pair. So comfortable, you~ll wear them everywhere! 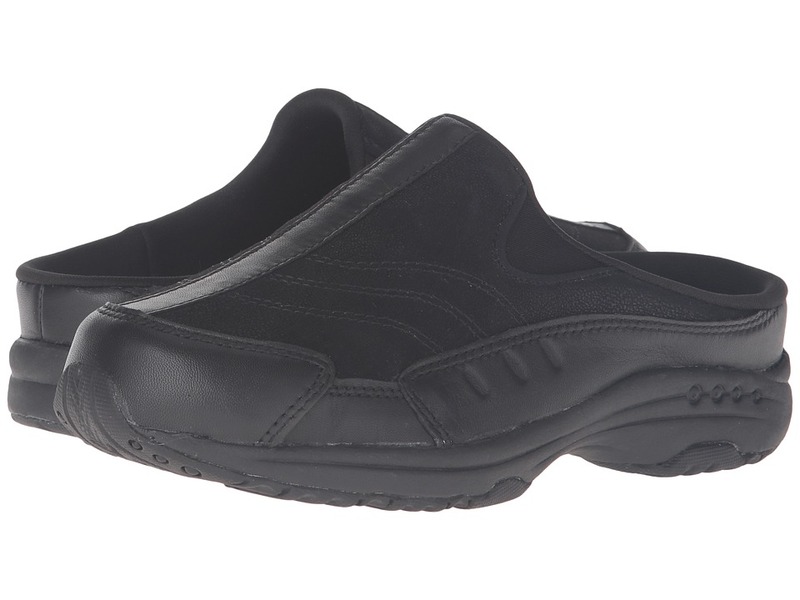 This sneaker clog is great for walking and light activity. Leather and breathable floral printed textile uppers. Cushioned collar for added comfort. Easy slip-on style clog. Padded, removable insole provides shock absorption and superior cushioning. Durable rubber outsole for added grip and traction. Imported. Measurements: Weight: 7 oz Product measurements were taken using size 8, width M (B). Please note that measurements may vary by size. Weight of footwear is based on a single item, not a pair. 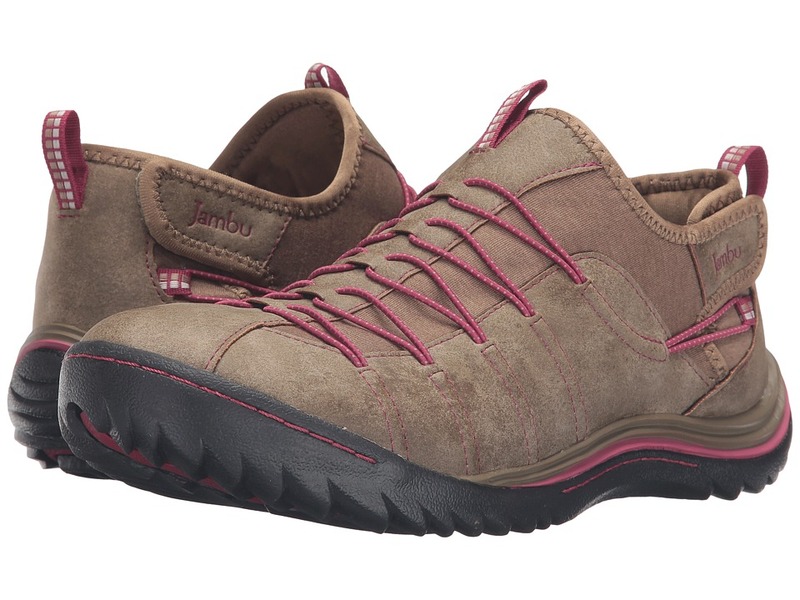 Reduce your footprint on the environment in the Jambu Spirit-Vegan sneaker. Microban antimicrobial treatment in all Jambu products helps keep odors at bay, and promotes a cooler, drier feel. 100 percent vegan-friendly construction. Easy slip-on design. Microbuck synthetic nubuck, melange textile, and neoprene upper materials. Elastic lacing details. Hook-and-loop lateral closure. Front and rear pull loops. Soft, breathable fabric lining. Memory foam footbed cradles the foot for daylong comfort. All Terra Traction outsole features partially-recycled, compressed rubber for superior traction and lasting wear. Imported. Measurements: Weight: 9 oz Product measurements were taken using size 7.5, width B - Medium. Please note that measurements may vary by size. Weight of footwear is based on a single item, not a pair. The captain of your heart will raise your spirits in the Toobydoo Yellow Zip Short Sleeve Sunsuit. One piece short legged sunsuit made from a skin-protecting swim fabrication. Horizontal, nautical-inspired stripes throughout. Mock collar with a zip-up placket for easy dressing. Short sleeve construction. Embroidered rubber logo tag at back. 80 percent polyamide, 20 percent elastane. Machine wash cold, tumble dry low. Imported. Measurements: One Piece Length: 20 in Product measurements were taken using size 18-24 Months. Please note that measurements may vary by size. If you~re not fully satisfied with your purchase, you are welcome to return any unworn and unwashed items with tags intact and original packaging included. So comfortable, you~ll wear them everywhere! 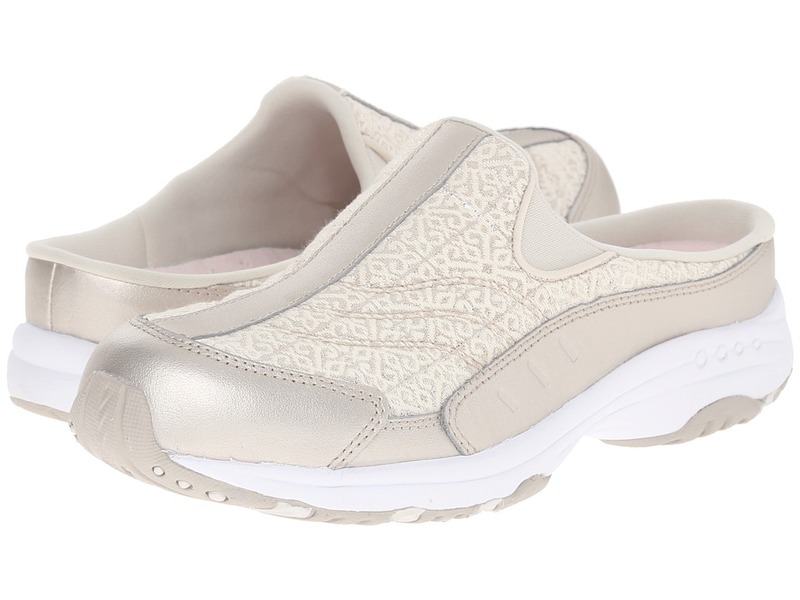 This sneaker clog is great for walking and light activity. Genuine leather and textile uppers. Cushioned collar for added comfort. Easy slip-on style clog. Padded, removable insole provides shock absorption and superior cushioning. Durable rubber outsole for added grip and traction. Imported. Measurements: Heel Height: 1 in Weight: 8 oz Platform Height: 1 4 in Product measurements were taken using size 9, width M (B). Please note that measurements may vary by size. Weight of footwear is based on a single item, not a pair. Mix and match your style in the fun Traveltime clog! 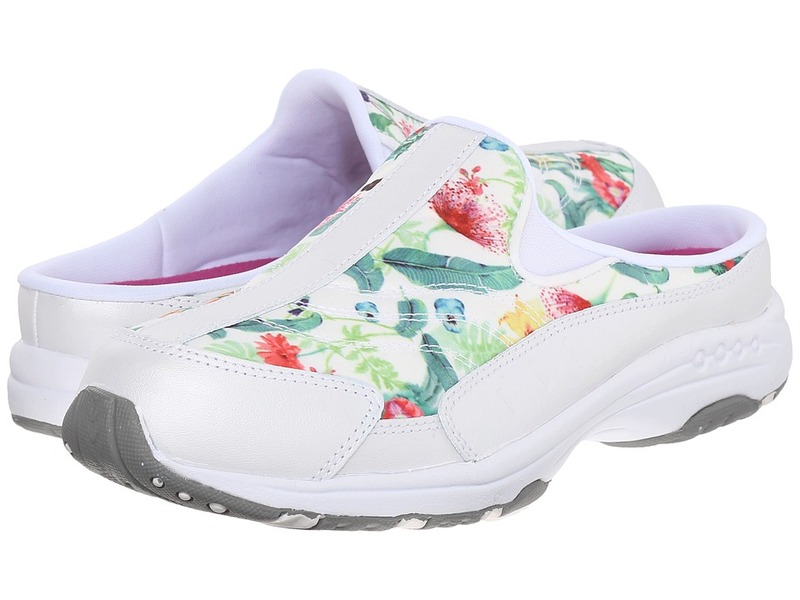 This sneaker clog is great for walking and light activity. Textile and leather uppers with a round toe. Cushioned collar with dual side goring for a comfortable wear. Easy slip-on style clog. Padded insole provides shock absorption and superior cushioning. Durable rubber outsole for added grip and traction. Imported. Measurements: Heel Height: 1 6 13 in Weight: 7 oz Product measurements were taken using size 8, width M (B). Please note that measurements may vary by size. Weight of footwear is based on a single item, not a pair. 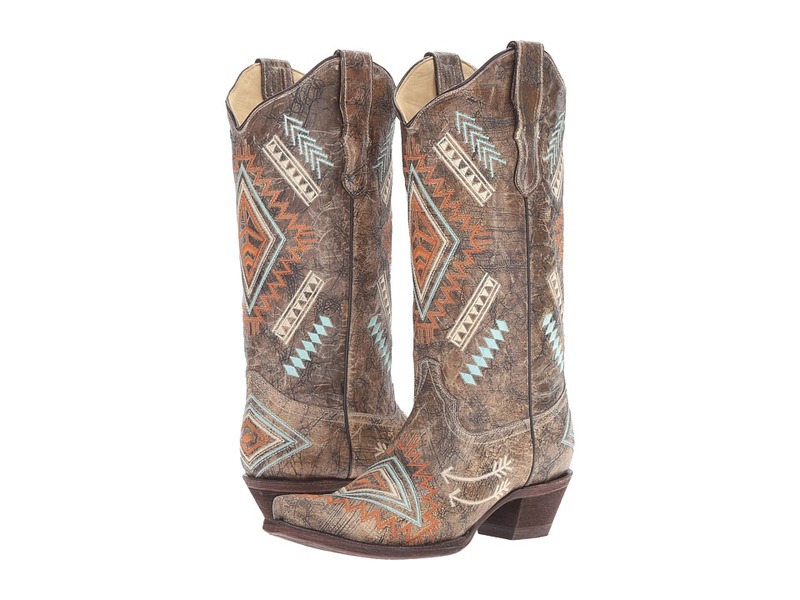 Get into the spirit of the West with the chic cowgirl look of the Old Gringo Latika II bootie. 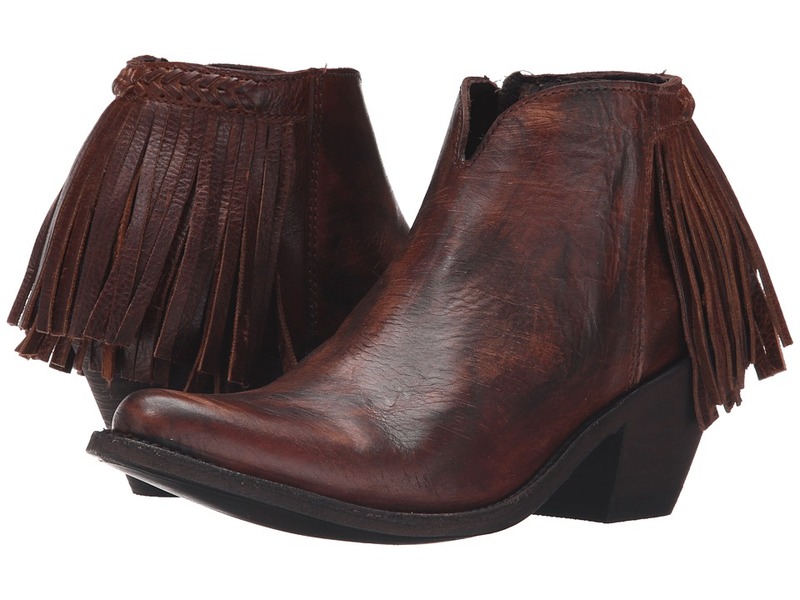 Handmade, burnished leather upper with gorgeous leather fringe detail at ankle. From Old Gringo~s Yippie Ki Yay Collection comes this decadent, divine, and breathtaking bootie. Side zip closure for easy on and off. Smooth leather lining for a comfortable next-to-skin feel. Lightly cushioned leather footbed. Pointy toe. Low chunky heel. Durable leather outsole with rubber heel tap provides excellent traction. Old Gringo&amp#174 also develops and tans its own leathers and textures to make sure the end result is a super high quality product. Imported. Measurements: Heel Height: 2 1 4 in Weight: 1 lb Circumference: 9 1 2 in Shaft: 4 1 2 in Product measurements were taken using size 8.5, width B - Medium. Please note that measurements may vary by size. Weight of footwear is based on a single item, not a pair. 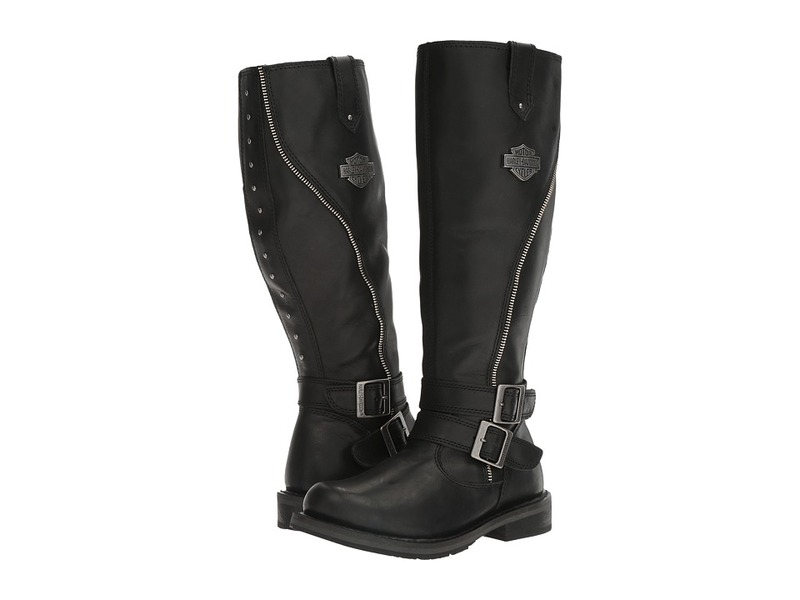 The Harley-Davidson Sennett boot will embolden your rebel spirit with its feminine yet rugged construction and eye-catching accents. Full grain leather upper. 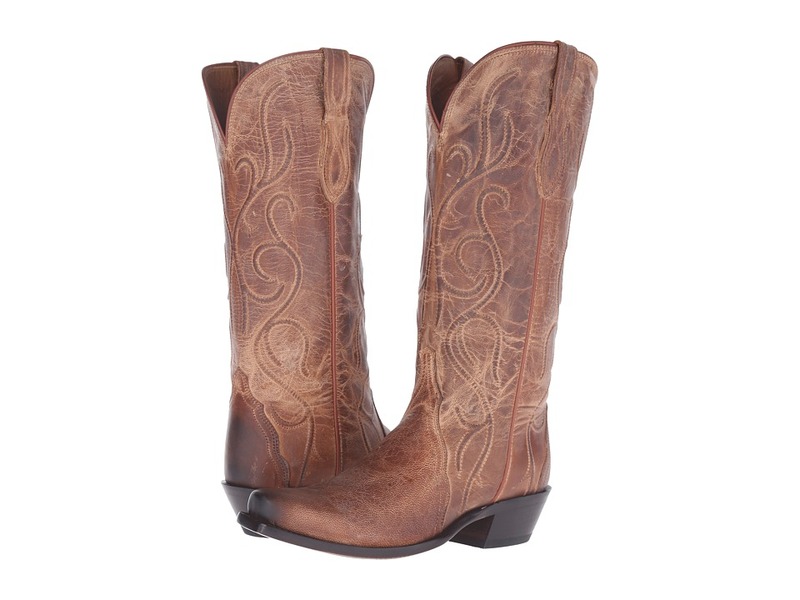 Leather of the Brown color features distressing detail. Full length YKK&amp#174 locking inside zipper for easy on and off. Goodyear&amp#174 welt construction for long-lasting wear. Unlined interior. Lightly cushioned textile footbed for underfoot comfort. Simulated leather outsole with rubber street side construction. Imported. Measurements: Heel Height: 1 1 4 in Weight: 1 lb 13 oz Circumference: 15 in Shaft: 16 in Platform Height: 1 2 in Product measurements were taken using size 7.5, width B - Medium. Please note that measurements may vary by size. Weight of footwear is based on a single item, not a pair. Bright, sunny days are so full of potential, but it doesn~t hurt to take a moment to kick back and just delight in the sheer joy of being. 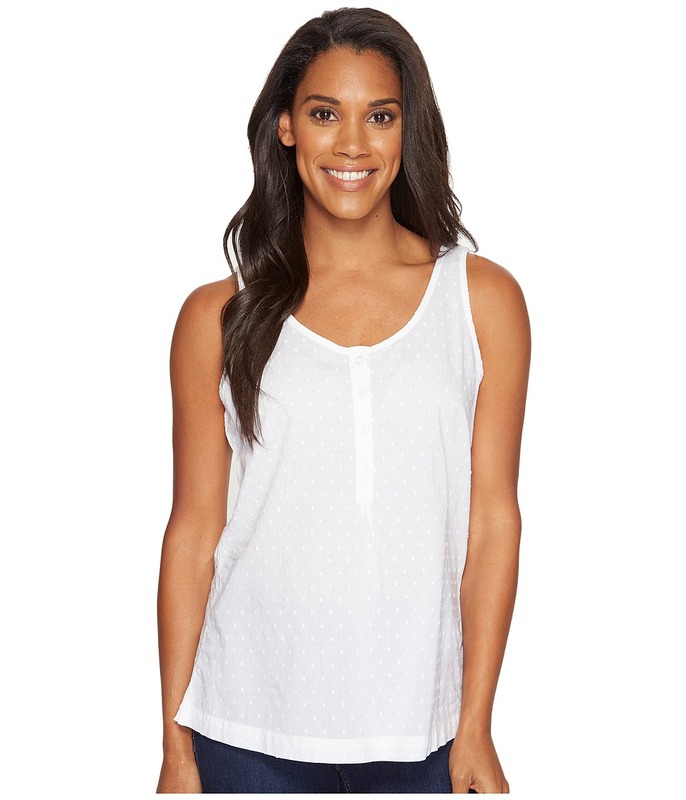 Whether you~re lounging or moving around town, enjoy your carefree spirit in the Sun Drifter Tank Top. The Performance Fishing Gear (PFG) collection is specifically designed for mobility and protection with the angler in mind. Regular Fit is an easy, lightly relaxed fit for comfortable range of motion. Breezy, lightweight woven cotton shirt with printed design. Wide shoulder straps. Scoop neck and back. Henley placket with knife pleat. Sleeveless. Shirttail hemline. PFG logo patch at the back. 100 percent cotton. Machine wash and tumble dry. Imported. Measurements: Length: 25 1 2 in Product measurements were taken using size SM. Please note that measurements may vary by size. 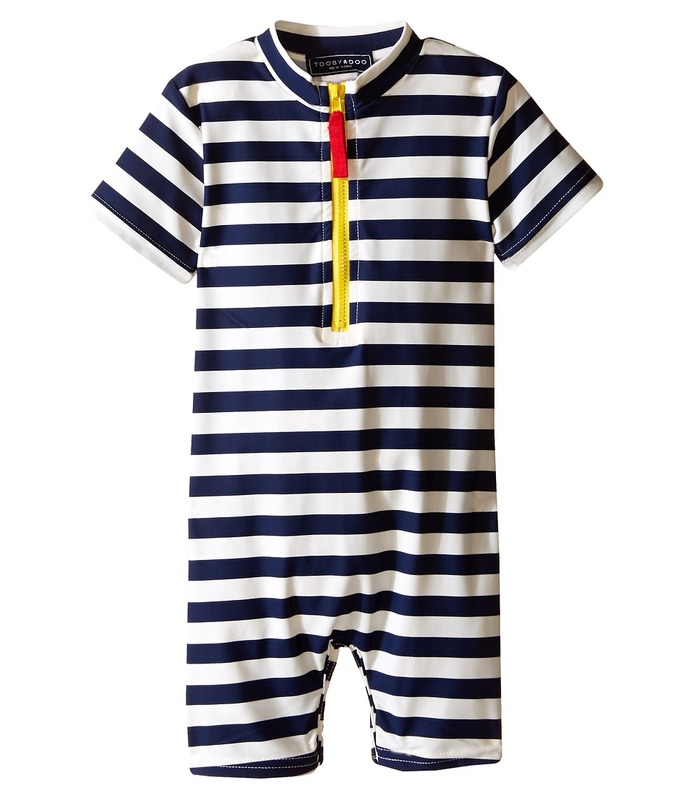 From land to sea, your spirited little one will adore their Stride Rite Made 2 Play Phibian MJ! Part of the Made2Play Collection. Patented Phibian Design. Mary jane in a fast drying, EVA upper. Perforated design for breathability. Hook-and-loop closure for easy on and off. Padded heel collar for optimal comfort. Manmade lining. Durable synthetic outsole features deep grooves for added grip. Machine washable. Imported. Measurements: Weight: 2 oz Product measurements were taken using size 4 Toddler, width M. Please note that measurements may vary by size. Weight of footwear is based on a single item, not a pair. 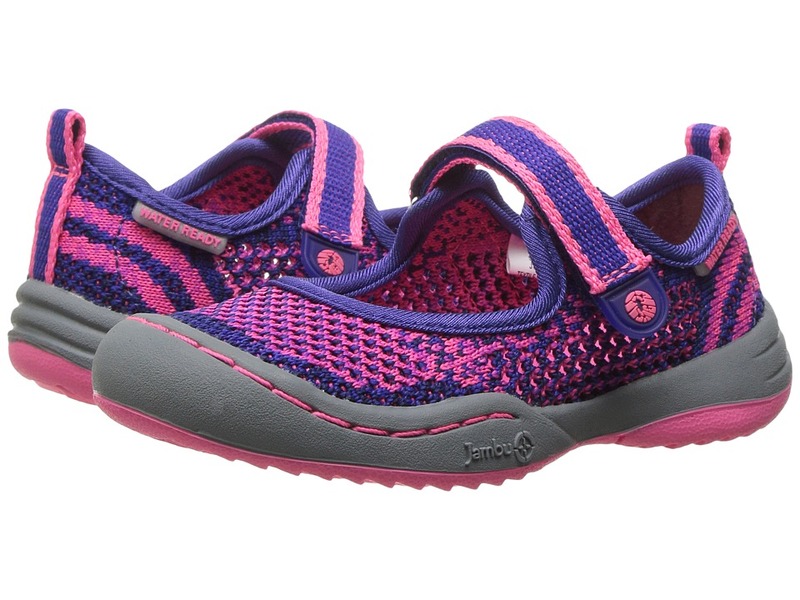 The Jambu Kids Sora is fun and colorful to match the joyful spirit of your child! Jump with Jambu! Textile knitted upper that is openly breathable. Mary jane silhouette. Single hook-and-loop closure for an adjustable wear. Pull on tab at heel for easy wear. Ready to be splashed in the water! Molded EVA footbed for all-day play. Toe bumper at front to protect toes. Rubber sole. Imported. Measurements: Weight: 4 oz Product measurements were taken using size 8 Toddler, width M. Please note that measurements may vary by size. Weight of footwear is based on a single item, not a pair. 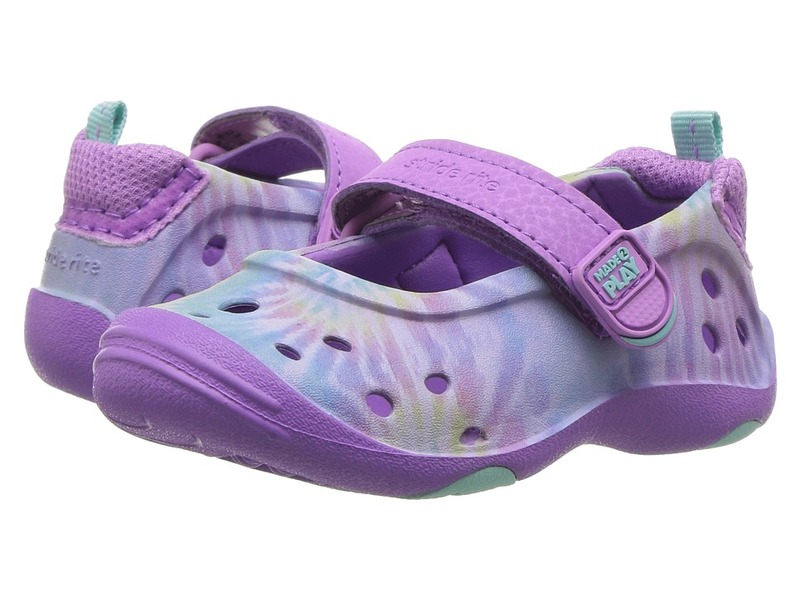 The Jambu Kids Sora is fun and colorful to match the joyful spirit of your child! 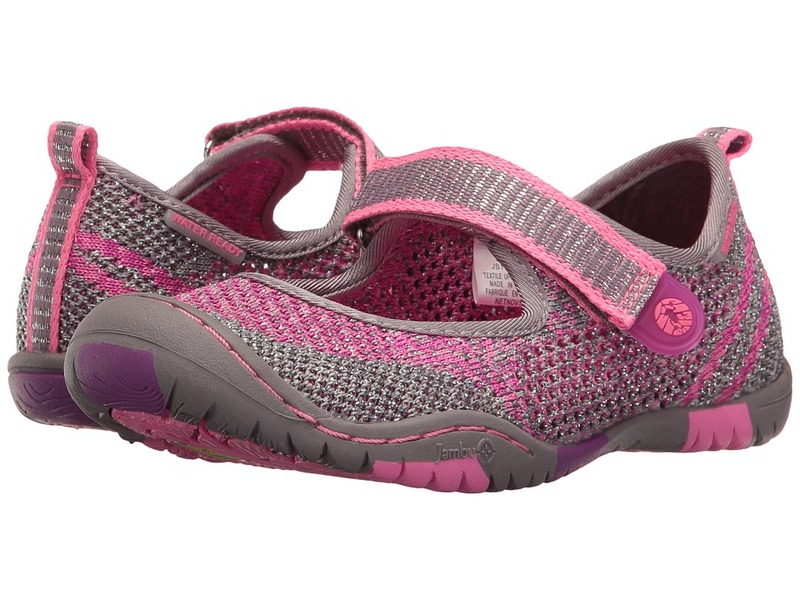 Jump for joy with Jambu! Textile knitted upper that is openly breathable. Mary jane silhouette. Hook-and-loop closure. Pull-on tab at heel for easy wear. Ready to be splashed in the water! Molded EVA footbed. Toe bumper at front to protect her toes. Rubber sole. Imported. Measurements: Weight: 5 oz Product measurements were taken using size 2 Little Kid, width M. Please note that measurements may vary by size. Weight of footwear is based on a single item, not a pair. The E1037 boot from Corral Boots has a rich leather construction and eye-catching detailing that will bring out your inner cowgirl spirit! Handcrafted crackled leather upper. Features multicolored Aztec-inspired embroidery. Pull-on boot with sturdy side pull tabs for easy entry. Soft leather lining for a comfortable fit. Lightly cushioned footbed for all-day comfort. Snip toe. Stacked fashion heel. Durable leather outsole with a rubber tab for added traction. Imported. Measurements: Heel Height: 1 3 4 in Weight: 1 lb 6 oz Circumference: 15 in Shaft: 13 in Product measurements were taken using size 8.5, width B - Medium. Please note that measurements may vary by size. Weight of footwear is based on a single item, not a pair. 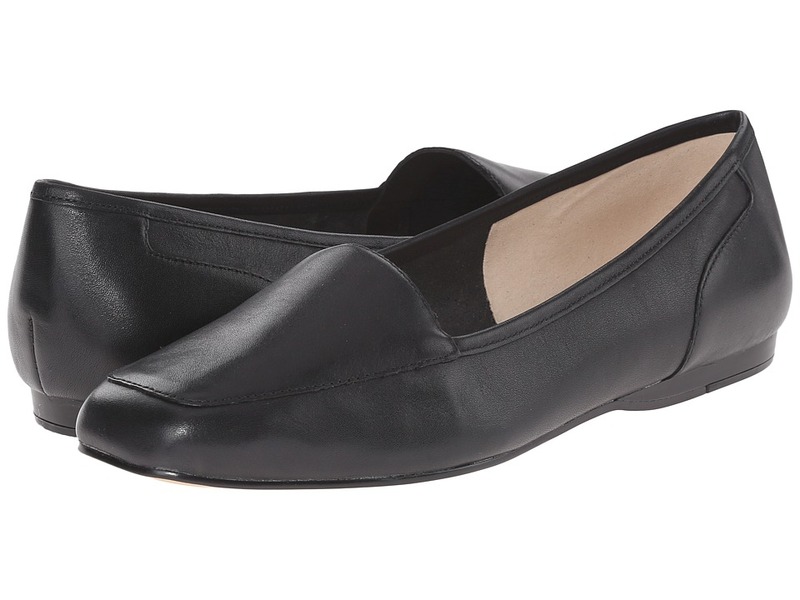 Make a day of errands around town feel like a walk in the park with the Alani casual slip-on. Fabric uppers with side cut-outs in a fisherman style. 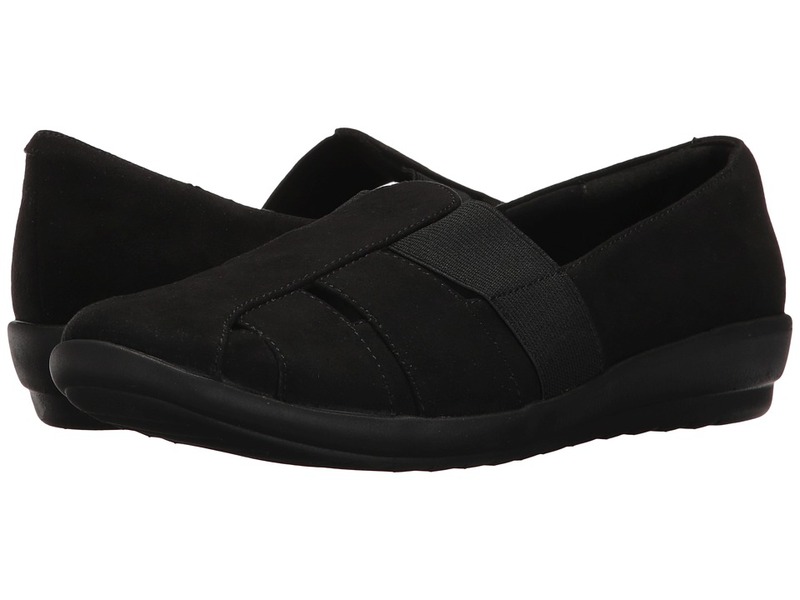 Easy slip-on style with an elastic band at instep. Lightly cushioned collar. Soft textile linings. Lightly cushioned footbed for added support. Durable man-made outsole. Imported. Measurements: Heel Height: 1 in Weight: 6 oz Product measurements were taken using size 8.5, width WW (EE). Please note that measurements may vary by size. Weight of footwear is based on a single item, not a pair. 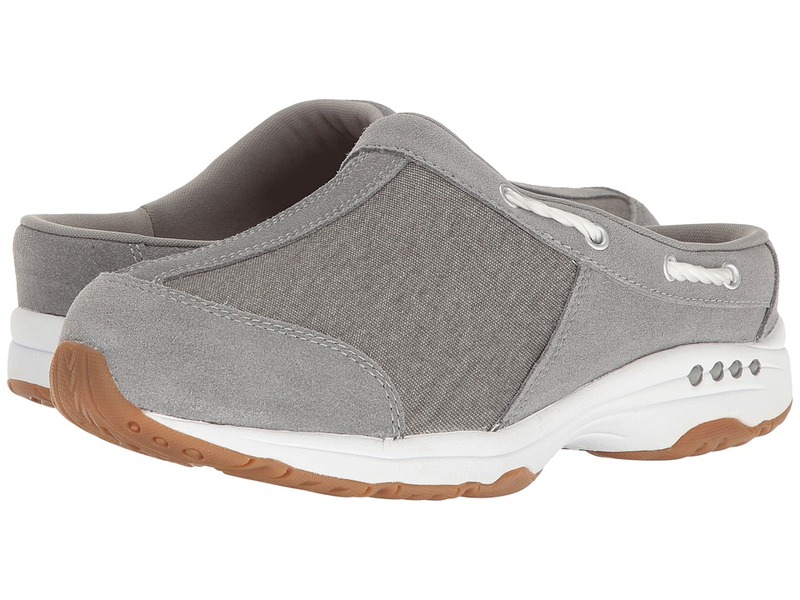 Treat yourself to the Travelport 23 for true comfort and a laidback style. Textile and suede uppers with a round toe. Easy slip-on style clog. Stylish rope detail at instep. Padded, removable insole absorbs shock and offers superior cushioning. Durable rubber outsole for added grip and traction. Imported. Measurements: Weight: 8 oz Product measurements were taken using size 9, width WW (EE). Please note that measurements may vary by size. Weight of footwear is based on a single item, not a pair.